About - Coastal Bend Distilling, Co.
About Coastal Bend Distilling, Co.
Coastal Bend Distilling, Company provides customers with a distillery experience that captures the spirit and lifestyle of South Texas. We proudly represent the independence and heritage of South Texas and the Coastal Bend Region, and our service rewards customers with an experience as memorable as Texas itself. ​Coastal Bend Distilling Company is located in downtown Beeville, Texas at 201 North Madison. The location of the former Grant Lumber company and hardware store. The old lumber yard and empty land has been cleared to make way for a new distillery building, while the original 1800's Grant Lumber store has been renovated and converted into a dance hall and event center. On November 26, 2018, the Bee County Commissioner's Court designated Coastal Bend Distilling, Co. as the Official Distillery of Bee County. Coastal Bend Distilling, Co. guides its business on the principles of transparency, authenticity, quality, and innovation. At Coastal Bend Distilling, Co., doing business in a responsible and conscious manner has always been central to our vision and strategy. Our values are at the forefront of all business decisions, in the leadership of our executives, and in the daily operations of all staff. As a family business, Coastal Bend Distilling, Co. shares a collective culture toward corporate and social responsibility that is built upon three pillars: craft, community, and culture. 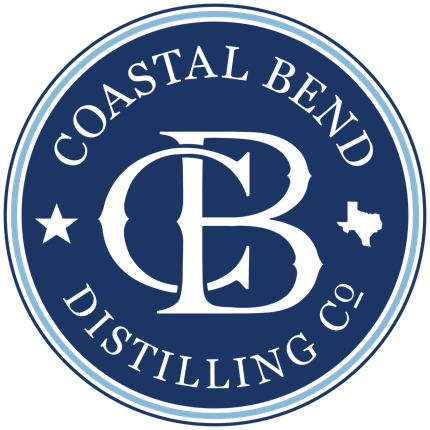 In addition to being bound by the laws of the United States and the great state of Texas, Coastal Bend Distilling, Co. fully supports a culture of responsible drinking, responsible marketing, responsible operations, and craft industry standards. We take pride in our products and the years of hard work it took to make our distillery a reality. We want our customers to enjoy our portfolio of spirits in good quality and in good health. Coastal Bend Distilling, Co. is proud of our roots in small-town, rural America. The success of our company and the success of our community become mutually reinforcing. We therefore take an active role in investing in our community both financially and in action. Following our first year of business, we anticipate growing and participating in programs for community involvement such as local clean-up days, downtown revitalization, supporting local businesses, charities, and other activities that strengthen the economic growth of Beeville and the surrounding communities. South Texas culture is a significant part of our company’s identity, and Coastal Bend Distilling, Co. seeks to preserve that culture both through our distillery experience and through contributions to or participation in effective programs, charities, and public policies that reinforce those values. Coastal Bend Distilling cultural initiatives seek to support Texas agri-life, environmental conservation, Texas country music, and Texas history. Beeville, Texas has a vibrant history, some of the kindest folks around, and is a picture of rural America. ​At Coastal Bend Distilling, Co., we're more than entrepreneurs. We're stewards of this great community. Interested in running a story on our little start-up? Click each document for a downloadable press kit. Want to work at a distillery? We're not hiring yet. Stay tuned! Good news is we are looking for true South Texans to give us their input. Consider joining our community feedback panel. Sign up here.